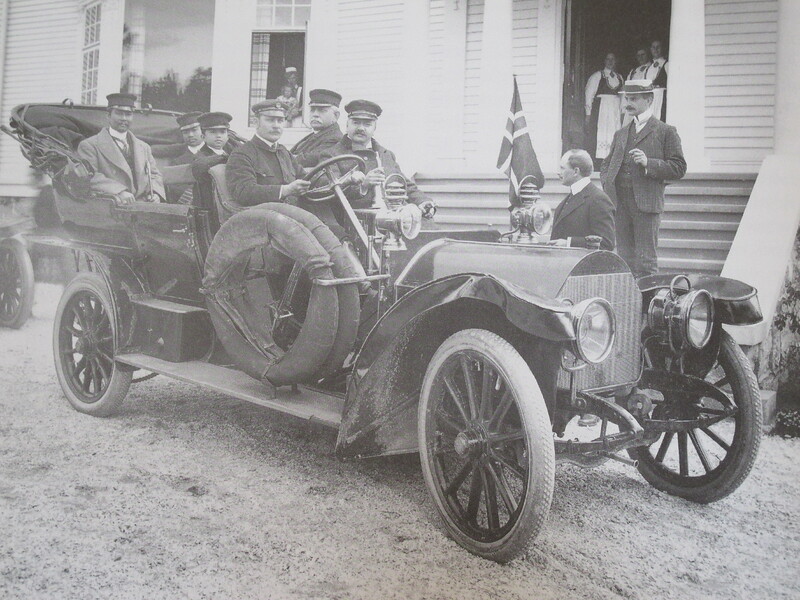 King Chulalongkorn in the back seat of Sam Eydes Mercedes in July 1907. Eyde in the driving seat and the King in the back seat togehter with twi princes. 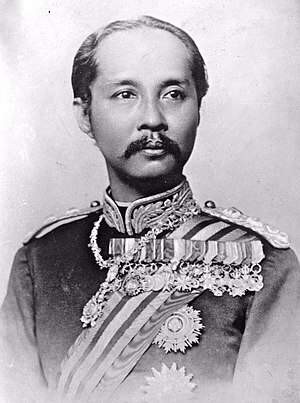 In the summer of 1907 the King of Thailand, King Chulalongkorn, travelled through Norway. In late July he stopped in Notodden, a small town in the east of Norway. There he discussed electricity and power supply with the norwegian inventor and tycoon Sam Eyde. Late one night in the end of July, they discussed the quite new invention, the telephone, and they agreed that the phone soon would be wireless, and in some years the mobile phone could be as small as a pocket watch. This amazing conversation took place about 80 years before the first pocket-sized mobile phone was invented. The reason why we know this, is the famous letters from Thailand beloved king Chulalongkorn, the Rama 5, to his daughter, princesse Nibha Nobhadol, better known as Noi. These letters are brilliantly written, they are full of details and sharp, intelligent observations. In Thailand they are known under the name «Klai Baan», a long way from home. In Norway the letters from the norwegian part of the King’s journey were published in 1996. An amazing conversation. The next day the Kong sent boxes of artificial firtilizer to Bangkok. Så fint at du sprer den forbløffende historien. Mitt spørsmål: Ville det være mulig å trykke den i Asian Journal of Intercultural Communication and Development Cooperation http://www.ijcdc.org?